Home remodeling has become something many people choose to do rather than moving to a newer location. As a homeowner, you can easily change the entire look of your home without moving. 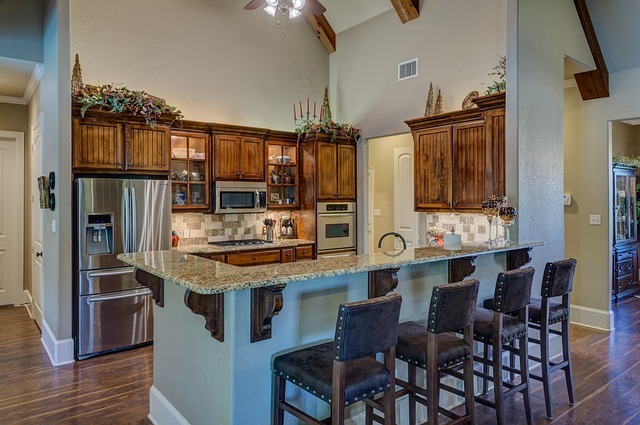 The kitchen is a common room to begin with because families spend a great deal of time in the kitchen. This is a place to gather and eat, visit, prepare meals and even do projects. Choosing the right materials for your new kitchen is one of the most exciting parts about the remodeling experience. 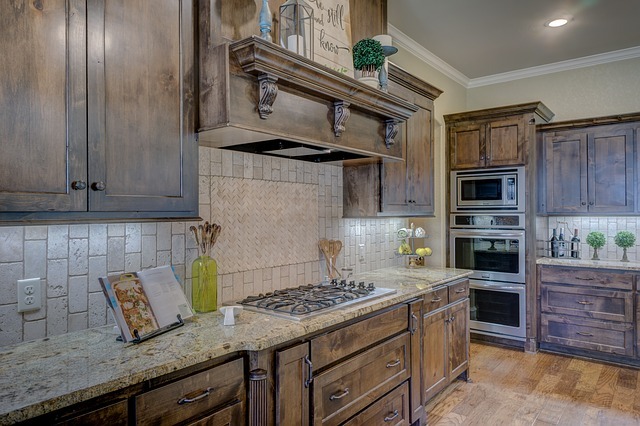 Many people choose to begin with picking out wood kitchen cabinets. With so many options in types of wood, style and size you can easily find the look that suits you and your individual needs. 3 What Size Would You Like? Possibly one of the most important things to consider when beginning picking out your new wood kitchen cabinets is the type of wood you prefer. Often people do not realize just how many different types of wood can be used in the process. Some of the different types are Maple, Oak, Cherry, and Alder. Maple is one of the more versatile types of wood because it can be used in many different styles and ranges in color from very pale to light brown with a hint of red. Oak is another great wood to consider because it is durable and works to provide the rustic look that many have come to love. Cherry wood is a popular choice in Manhattan because it adds an elegant look to most any design. Then, there is Alder. This is an excellent choice for a softer wood that offers a great foundation for stains and a variety of finishes. Choosing the right style of cabinet that will best meet your needs and achieve the look that you want is another exciting part of the kitchen remodel process. Fortunately, there is a variety of different styles to choose from that each have their benefits and provide a slightly different look to your home. A few different styles include Contemporary, Antique and even Arts and Crafts. Contemporary cabinets are a popular choice because they offer a modern look with flat surfaces and very little extra flair. Another great choice is the Antique style made popular due to the distinctive features that can be chosen and built for a custom look. Arts and Crafts has become an increasingly popular look in Brooklyn because it adds a look of simplicity while achieving a high level of quality. When it comes to the size you will need for your wood kitchen cabinets there are actually many factors to consider. Often, people do not realize that there are choices in sizing ranging from Standardized, Semi-custom, and Custom. A benefit to choosing a standard size, also called Stock Cabinets, is that they are mass produced and the easiest to install. This cuts down on costs, but the size cannot be modified. Semi-custom is a popular choice in Queens because it provides a balance between standard and custom. These are also mass produced, which saves on costs, but they can be modified to a specific size and liking to meet the needs of your individual tastes. For some, choosing Custom cabinets is the best choice due to added flexibility. 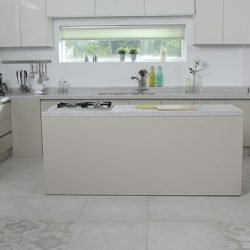 Although a costlier choice, having the ability to design your kitchen exactly the way you want it is an attractive benefit for many homeowners. Remodeling your home is an exciting achievement full of possibilities, especially when you have so many choices when it comes to picking out your wood kitchen cabinets. 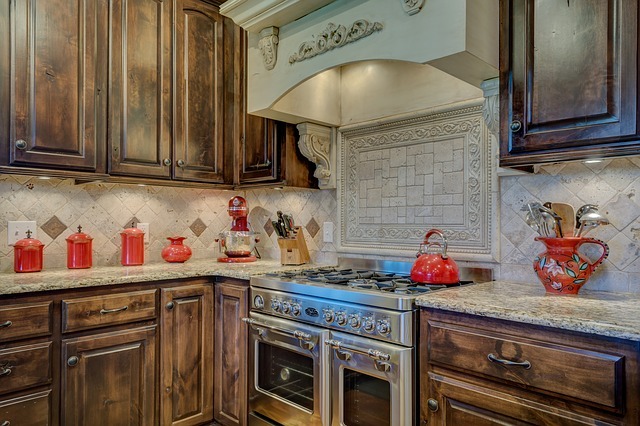 With the right kitchen, the rest of your home remodeling needs will flow smoothly into your fresh look. 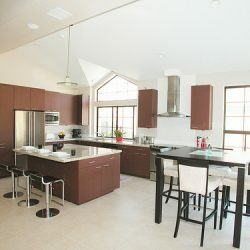 Whether you choose custom-made Alder wood, semi-custom Oak, or standard Maple you will be pleased with the result because you will finally have the kitchen that you deserve.